Social media and emerging technology have created new opportunities. There are opportunities available now that weren’t even considered ten years ago. For example, through social media job seekers can express themselves publicly and connect with people who work in their industry. Try to determine how you can use these trends to your advantage and get excited about it! The future can be amazing if you’re willing to embrace it. A positive attitude will make you more successful. 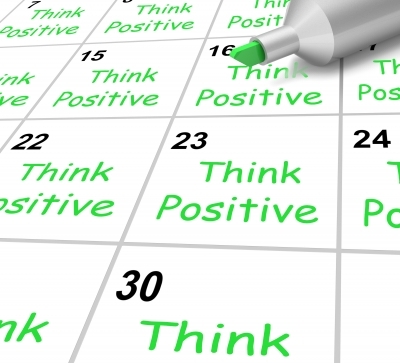 The reality is that you will be more successful in your career if you have a positive outlook. Optimistic people are more motivated and better able to weather the ups and downs of the job search process than their pessimistic counterparts. Also, positive, enthusiastic candidates are much more attractive to potential employers. It’s in your hands. Even in the worst labour market, there are jobs available. People retire, get sick, have babies, go to school, get promoted and move on to other companies. It may take longer, but you can still get hired if you go about it in the right way. The key is to position yourself so that you possess skills that are in demand, to develop a strong network, and to be flexible. It may be worth accepting an entry-level position to get your foot in the door of a great company. When it comes right down to it, the only constant is change. The labour market changes so quickly that reports are often out of date before they’re even published. You have to keep your ear to the ground to be aware of what new trends are emerging and which industries are in decline. To be successful in today’s world, you need to be adaptable and always prepared to redefine yourself. None of us know what tomorrow brings, but if you are willing to embrace that uncertainty, you’re in a strong position to succeed.